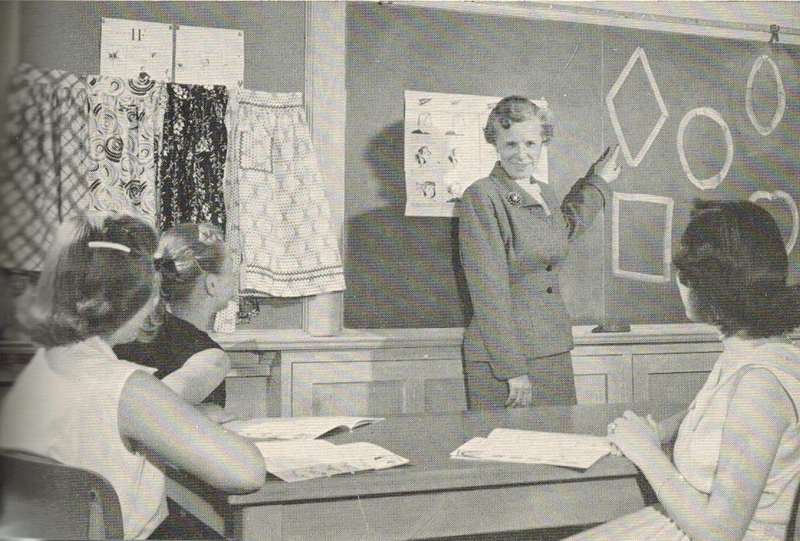 Enjoy these pictures from the chapter on "Grooming" in a book on clothing for high school girls. 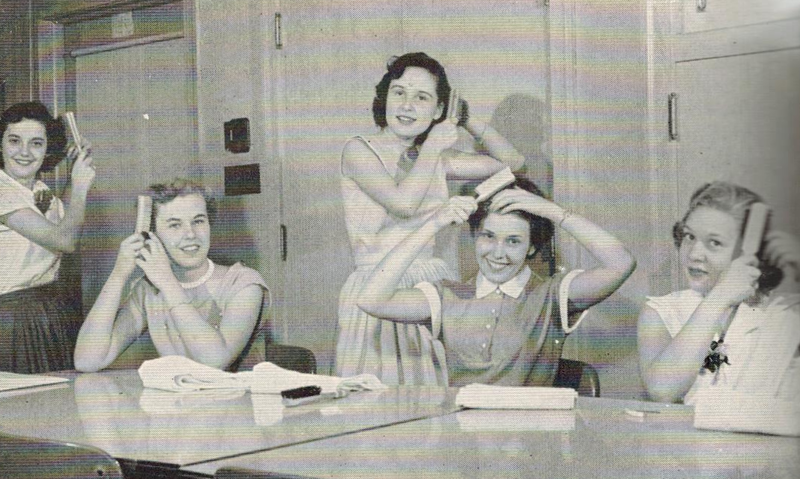 These girls enjoy brushing their hair at high school. 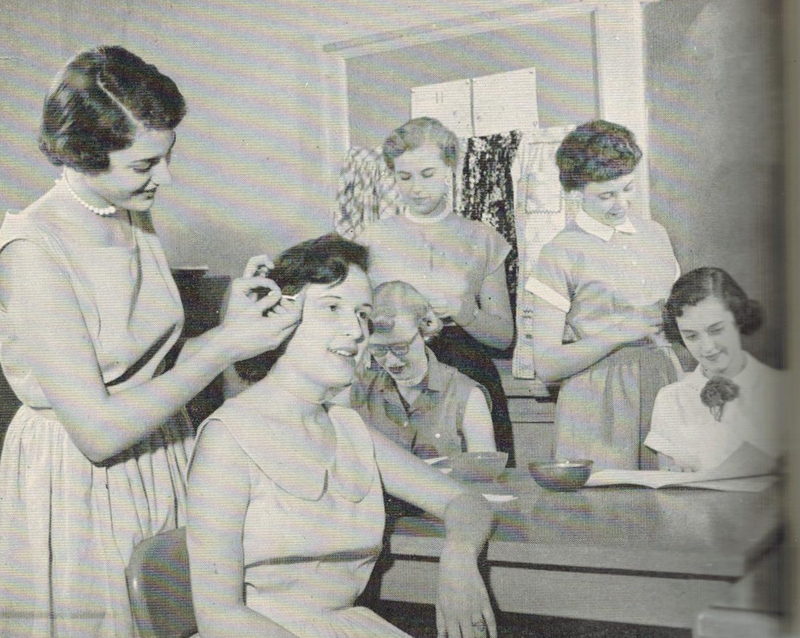 These high school girls are experimenting on each others' hair. 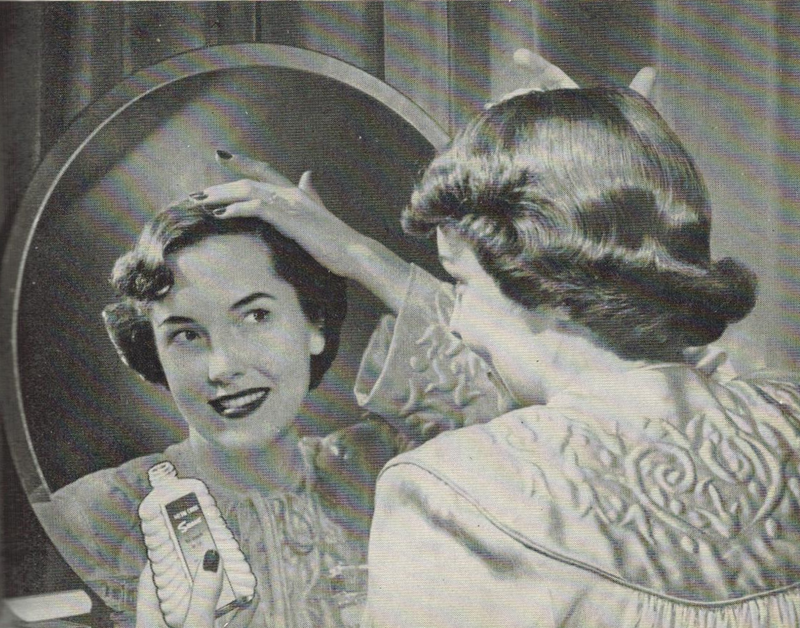 Applying hair cream provides luster and holds hair in place.